I often get asked questions about my favorite products, favorite health brands, favorite places to shop, and how can you find the products I mention in my blog posts. This page is a collection of all of my favorites, including some of my staff’s favorites as well! Please note that if you do click on any of the links below and make a purchase, that I do receive some compensation. You can read more about my affiliate disclosure here. If you guys have favorites or good finds, let me know so I can check it out! I don’t know about you, but one of the greatest gifts on this planet is coffee. I’m very picky about my coffee as it has to be Organic AND Mold-Free. I have two favorites that meet that criteria; one is locally made here in Santa Clara, and the other is from Seattle. One of my favorite companies out there is Dry Farm Wines! You can get on their auto-shipment here. Watch my interview with them below! One of the first things I make sure my patients do is switch all their meats to grass-fed! If you don’t have access to a local, organic butcher, you can try Butcherbox. We’ve used it before during those months where it just seems impossible to make it to the grocery store or Costco. If you click on the link, you’ll receive $10 on your first order and FREE BACON! Whether you like to cook, wish you had time to cook or hate to cook, we’ve got a box type that will help you eat and be well! It’s like having a farmer as your personal produce shopper — and you still get the final say of what goes into each delivery. One of the greatest sources of “Good Fat” are nuts! You hear me talk about it all the time. Many of you have reached out, letting me know that you live in rural areas where organic food, meats, and dairy aren’t accessible. I’m all about trying to help, so here’s a great resource for those of you that do not have access to organic nuts! For those of you that may not want to dive straight into a 5 day water fast, a good starting place is a 5 day bone-broth fast. Once in a while, we’ll make our own, but when time is restricted, Kettle & Fire is a great brand, as I know they source from organic ingredients! Jessica, in our office, uses this to make her home-made dog food as an extra source of good fat. For those of you looking for ready-to-go keto snacks, please try their Keto Bars or Keto Nut Butter! So Good! Their website also has a ton of Keto Recipes that you can download for personal use. Keto chocolate fudge anyone?? This stuff is delicious and kid approved! They also have some great prebiotics, probiotics, and a tumeric elixir! Everyone in my office uses Osmosis and WE LOVE IT! Their Mascara is my absolute favorite! You can only order by using a provider number, so use the code 5241232 to allow your purchase to go through! Most toothpaste on the market is EXTREMELY toxic and destroys the microbiome of your mouth. In my family, we use Revitin! It’s a prebiotic toothpaste and my family loves it! We sell it in our office, but you can also sign up for a monthly auto ship from them here. This company has some AMAZING products! This is one of Jessica’s favorites– They have a little bit of everything from bath salts, to deodorant, lotion, chap stick, etc. We love their values: “We firmly believe fewer is better and formulate our products using on the most pure and powerful ingredients our planet has to offer. We believe in daily baths, taking time to establish a good-for-the-soul morning routine, spending time in the great outdoors and giving back + serving others. Above all, we believe that beauty goes much deeper than simply skincare- that true beauty is caring for oneself and others, while cherishing and nurturing the gift of life we’ve all been given. Did you know that your skin has a microbiome too? And that what we put on our skin can directly impact what is going on in our gut. If you haven’t scanned your beauty products, I urge you do to so right away. 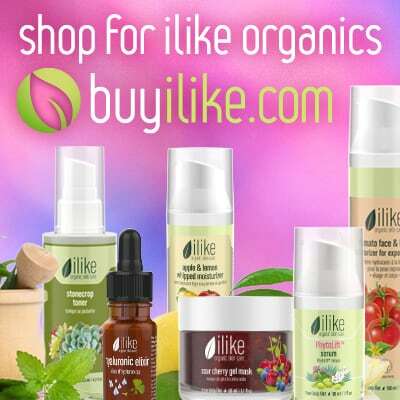 If you’re looking for a good skin care line, Ilike is Jessica’s favorite. You can view their products here. Healthy Happy Hair for all! We recently found out about them from a natural hair stylist in Campbell! Their line includes shampoos, conditioners, styling products, as well as some body care products! Their products do not contain sulfates, gluten, parabens, propylene glycol, silicones, or pthalates! Speaking of the microbiome of the skin– Skin Collonizer is one of my favorite products from systemic formulas. It’s one of the only PROVEN products to have active probiotics needed for the skin. Many of the ones on the market today have been tested and unfortunately have no active probiotics once it reaches the consumers hands. You’ve heard me say it before; I am super picky about the supplements that I put in my own body, and recommend to the clients that I am working with. Many supplements are not organic, nor are they checked for heavy metals. I would rather spend an extra couple of dollars on a supplement that I know has been tested and is of the highest quality, then spend more money down the road to fix my health. This is one of the greatest health tools you could possibly own! I make sure that all my elite clients have one before I start coaching them so that we can accurately track how your body is responding to the work we are doing. EMF’s are one of the top things being researched and discussed in the health world. While I know I couldn’t live without my phone, laptop, and wifi; my family does do many things to try to prevent what we can against EMF’s. If you’ve seen my phone in the office, I have a special case that defends EMF’s– DefenderShield Case. Also, make sure to put your phone in airplane mode when you go to sleep at night. One of the best ways you can assist yourself in detoxing is with an infrared sauna! I have one of these that sits in my living room, and at least twice a week, I make a commitment to get inside it and sweat out some toxins! One of the main sources of heavy metal toxicity is our water. Crazy right? I always recommend any client to have their water systems tested for heavy metals and fluoride. If you’ve watched any of my Heavy Metal series, than you know that one of the largest sources of toxicity in our body is potentially coming from our water. Aqua Tru is certified to remove Lead, Chromium, Chlorine, Fluoride, Cancer causing chemicals, herbicides, pesticides, and 100’s of other dangerous contaminants! Another source of toxic exposure comes from our cookware and dishes. The great thing about Xtrema is that they have created a line of safe, non-toxic, metal free cookware! You can use the code SaveX10 for 10% off your oder! SOL, Sustained Organic Living, provides organic bedding! Where are my DIY’ers?! Katie Wells has a lifestyle detox book with over 100 different DIY recipes for cleaning, beauty, and health! BrainTap’s neuro-algorithm produces brainwave entertainment — the synchronization of brainwaves to a specialized sound — with no user effort. The result of which is full-spectrum brainwave activity. Using this matrix of neuro-activity, each of BrainTap’s sessions is encoded differently to ensure maximum neuro-plasticity — the brain’s ability to reorganize itself by forming new neural connections, resulting in a flexible and resilient brain.